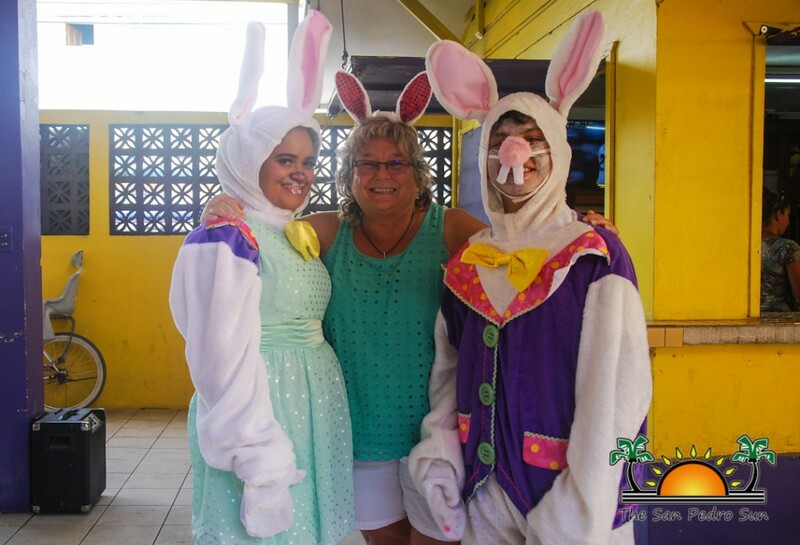 The San Pedro Lions Club hosted its 6th Annual Pancake Brunch with the Easter Bunny on Saturday, April 8th. 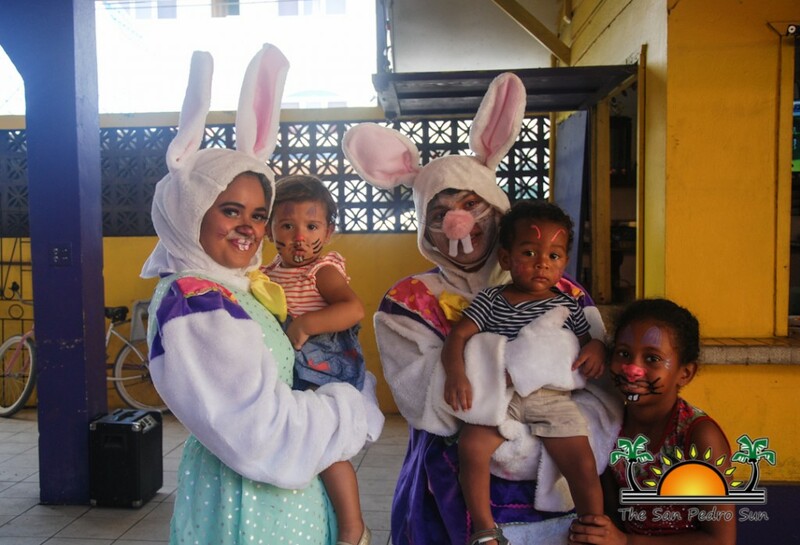 The fun-filled fundraiser took place at the San Pedro Lions Den, where children, along with their families, got a head start in celebrating the holiday. 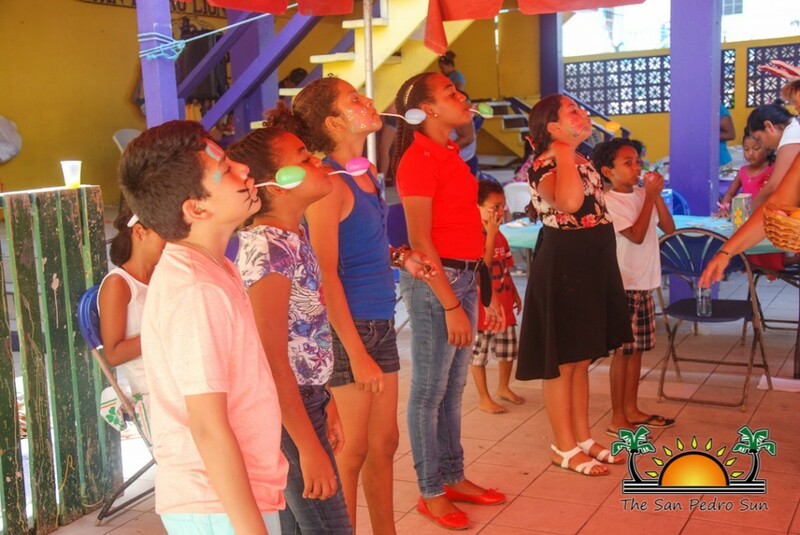 Before participating in the activities, guests enjoyed an all-American breakfast that included pancakes, sausage links, orange slices and orange juice. 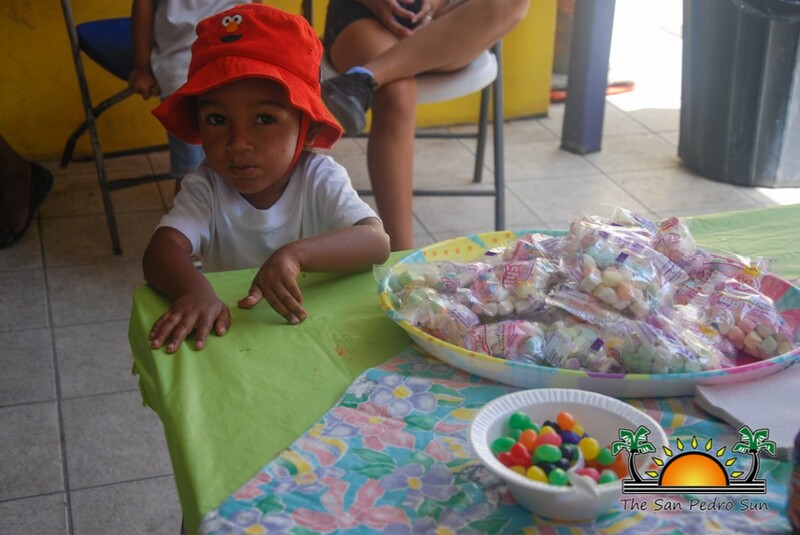 As always, the Lions had their popular topping table where an array of toppings were available. 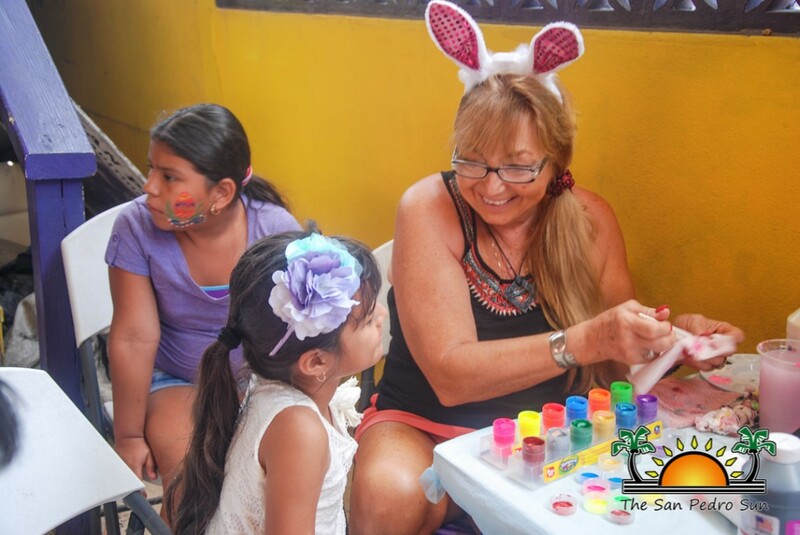 From butter to syrup, sprinkles, sliced bananas, jam, shredded cheese, chocolate syrup, marshmallows and even jellybeans, children and adults alike enjoyed topping their pancakes with a few, or all of the offerings! 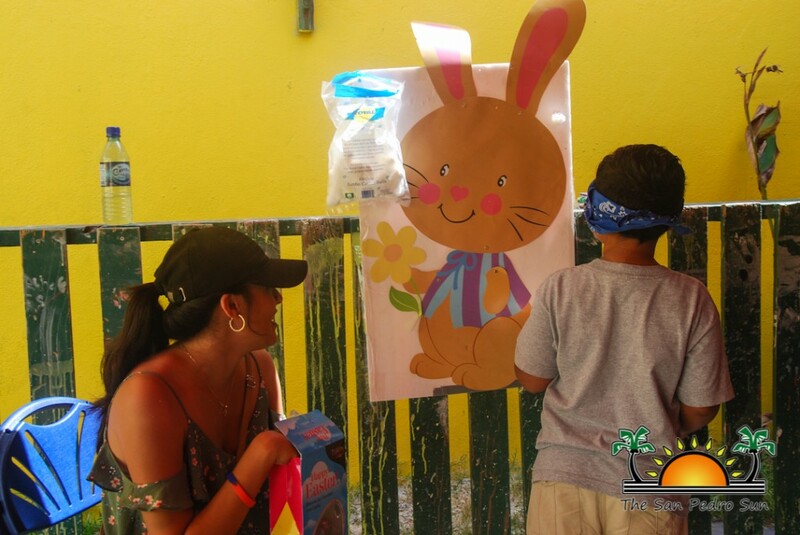 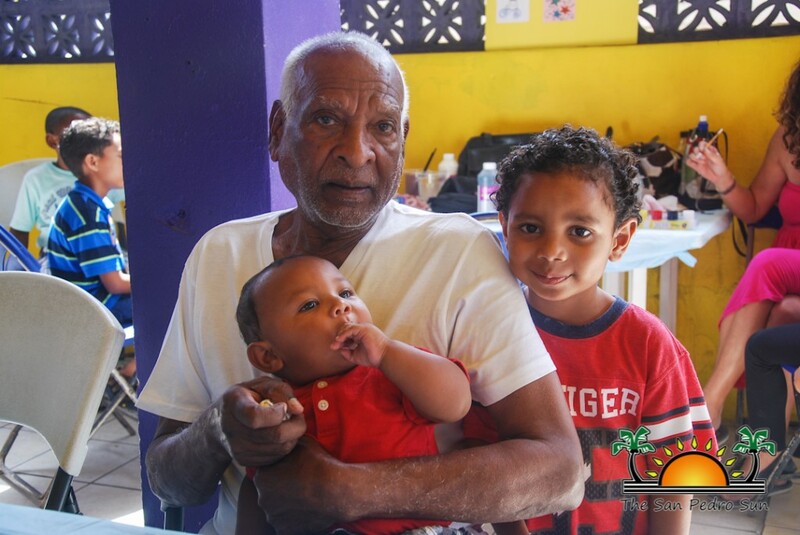 After a delicious breakfast, there were a variety of entertaining activities games to participate in, such as ‘Pin the Tail on the Bunny’, fishing for Easter Eggs, Egg and Spoon races and puzzle races. 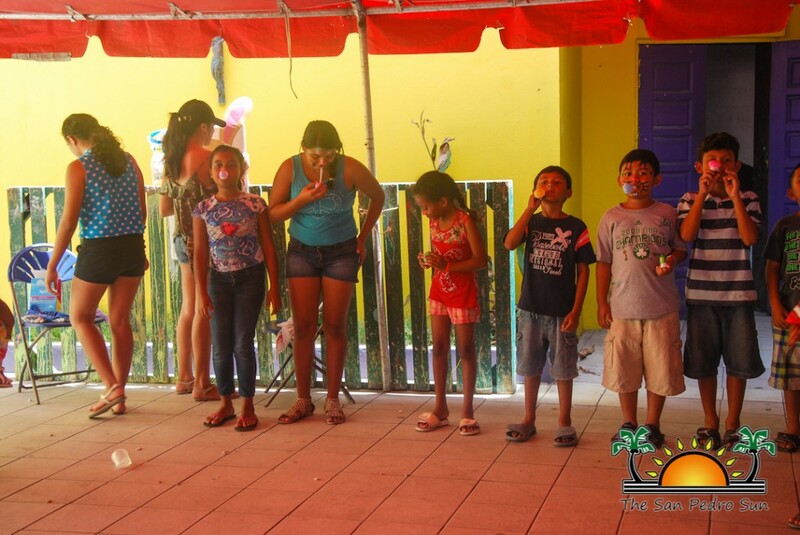 The children took turns playing all games, hoping to win a prize! 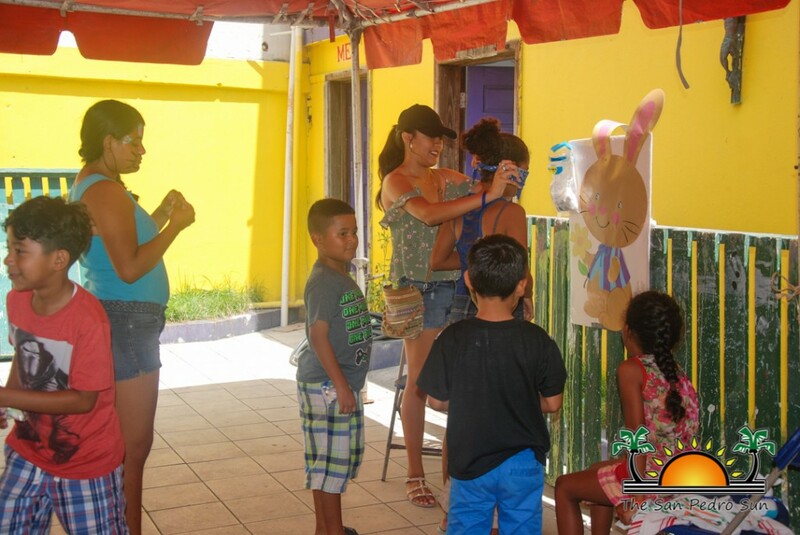 The line for face painting was long, as there were awesome designs like Easter eggs, flowers, rainbows, bunny faces, peace signs and more. 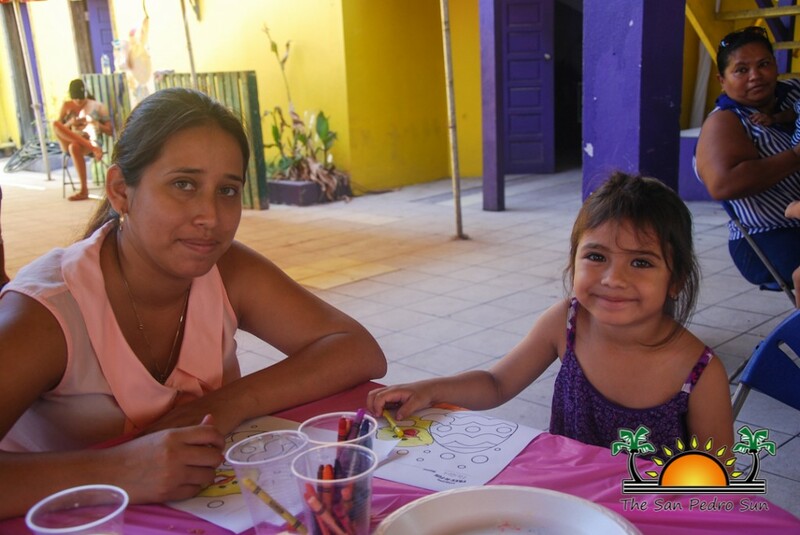 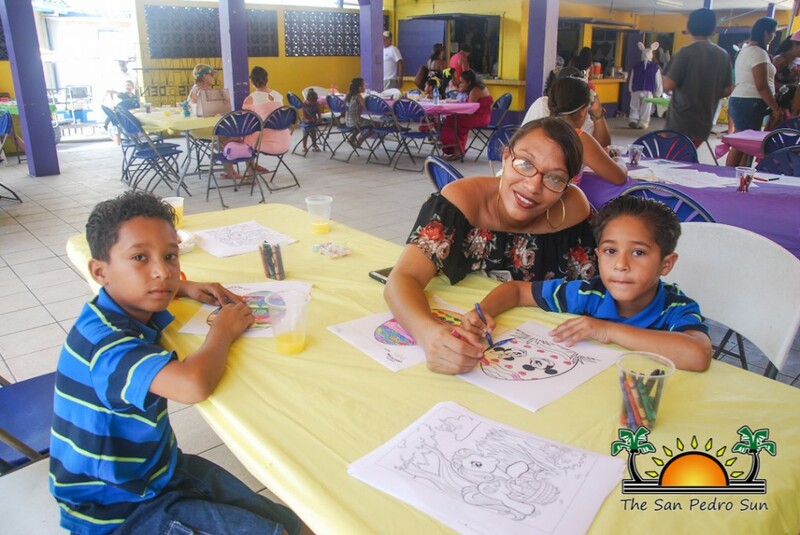 The dining tables were also stocked with coloring pages and crayons so that children, and even some adults, could express their artistic skills. 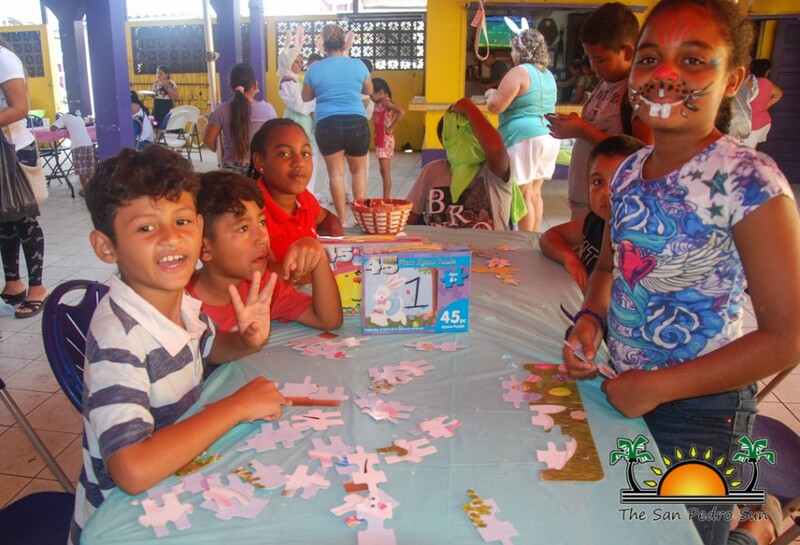 Two different craft tables were set up, where for $5 per craft, volunteers assisted children in creating adorable gift items. 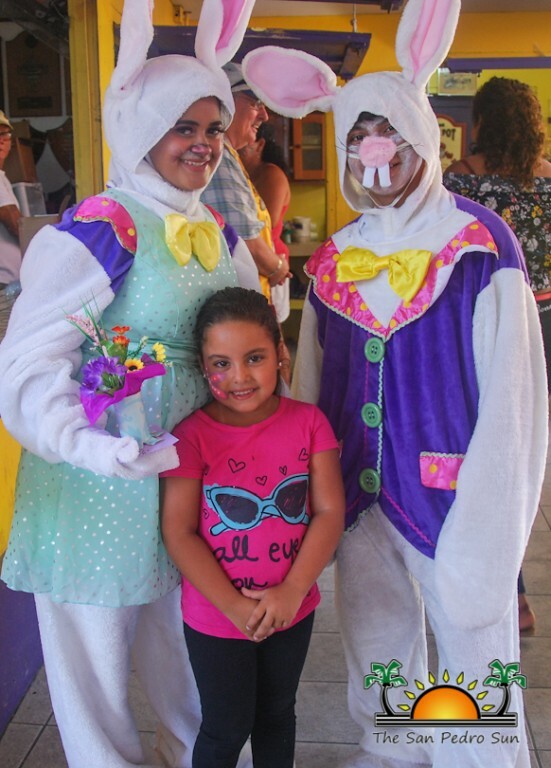 One table featured bunnies made from socks stuffed with rice and adorned with cute bunny features, while the other offered handmade flower bouquets crafted from toilet paper rolls, patterned paper, Easter grass, and pretty artificial flowers in the middle. 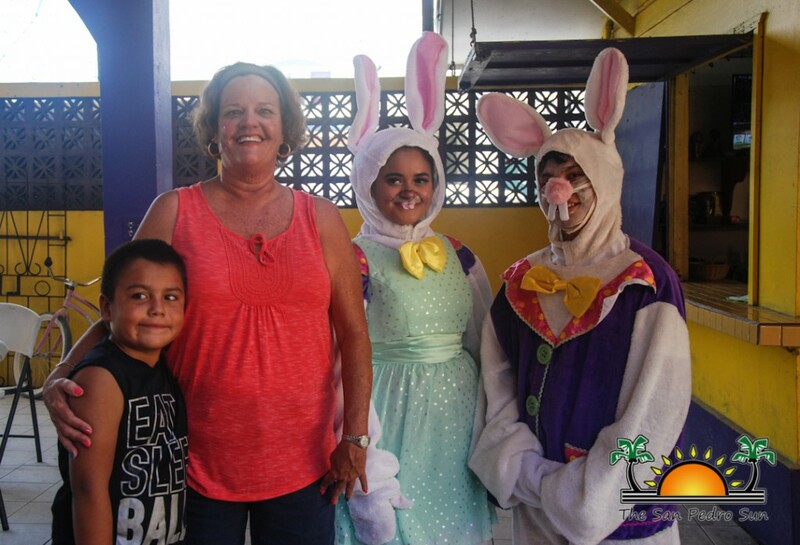 As an additional treat, Mr. and Mrs. Easter Bunny made a guest appearance, and many parents and children took the opportunity to take photos with them. 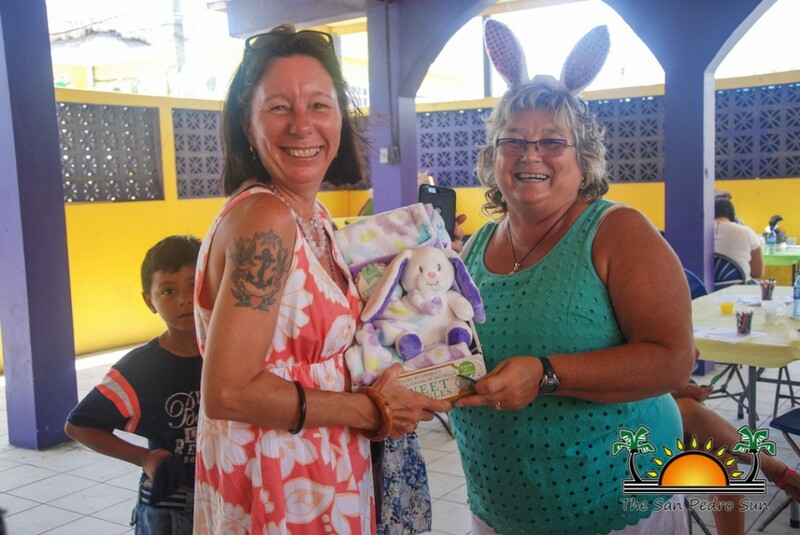 However, the fun didn’t end there, as Lion Melanie Paz sold raffle tickets for the chance to win some beautiful donated raffle prizes. 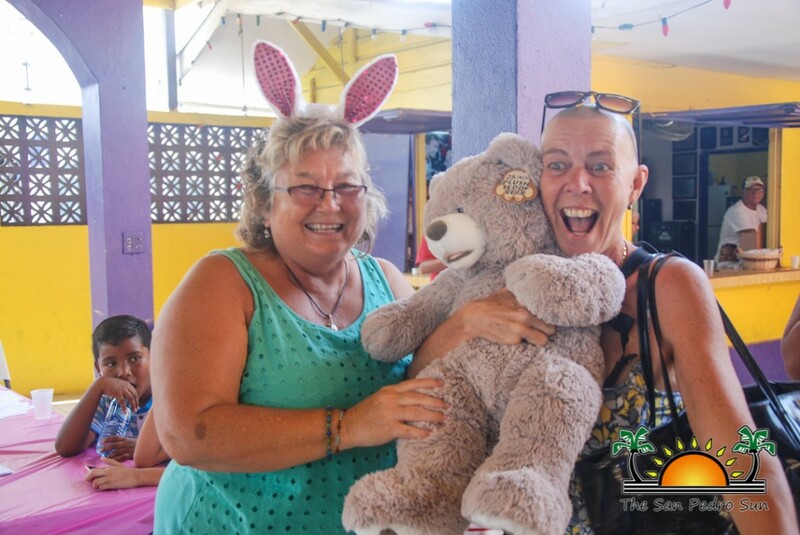 This year, two Easter baskets, a beach bucket, fun boy toys, a bunny blanket, and a teddy bear were all up for grabs! 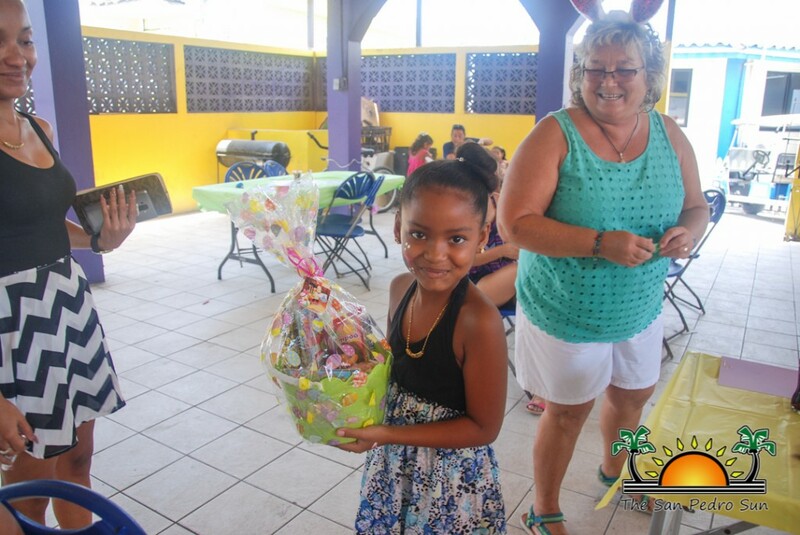 Lucky winners happily walked away with some fantastic Easter gifts. 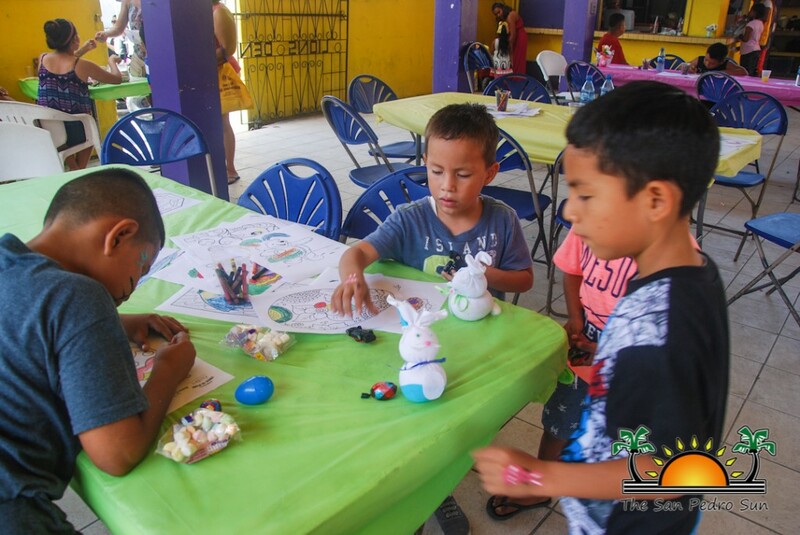 The San Pedro Lions would like to extend a special thanks to businesses who donated food: Fido’s Courtyard, San Pedranos Market, Madisco, Paradise Market, Al Maza, Mermaid Market, The Greenhouse, Caye Mart, Sea Turtle, Rocks and The San Pedro Sun. 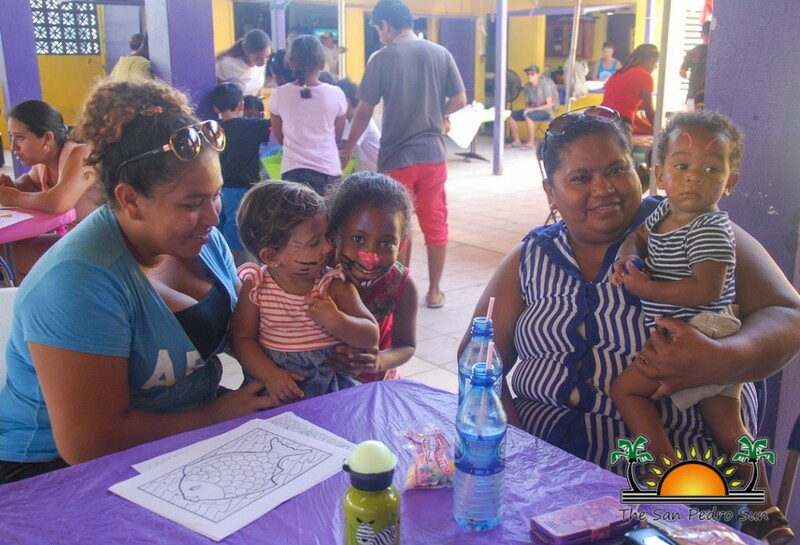 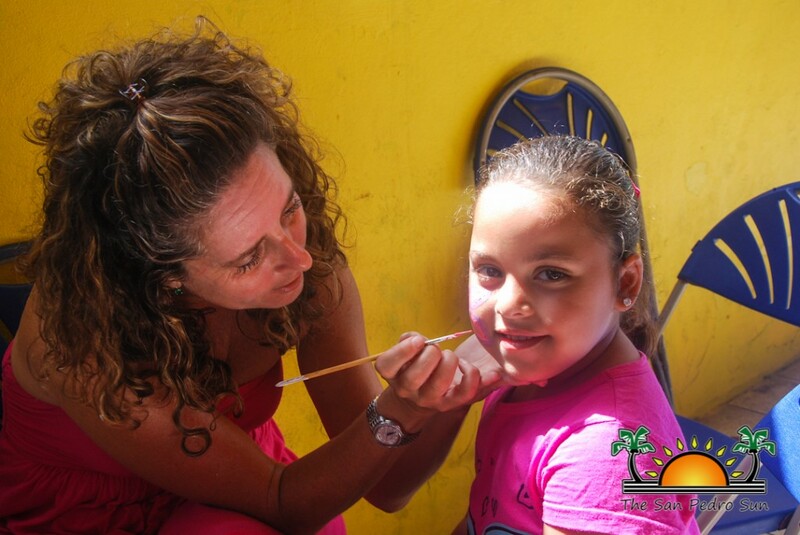 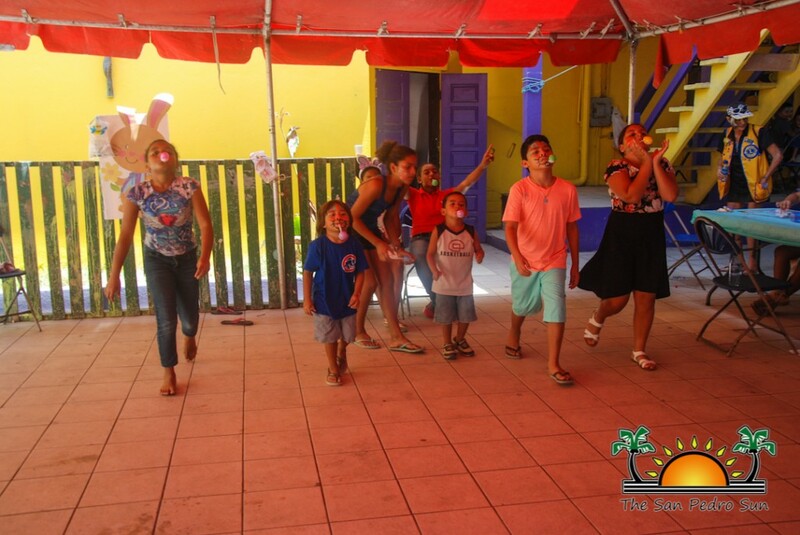 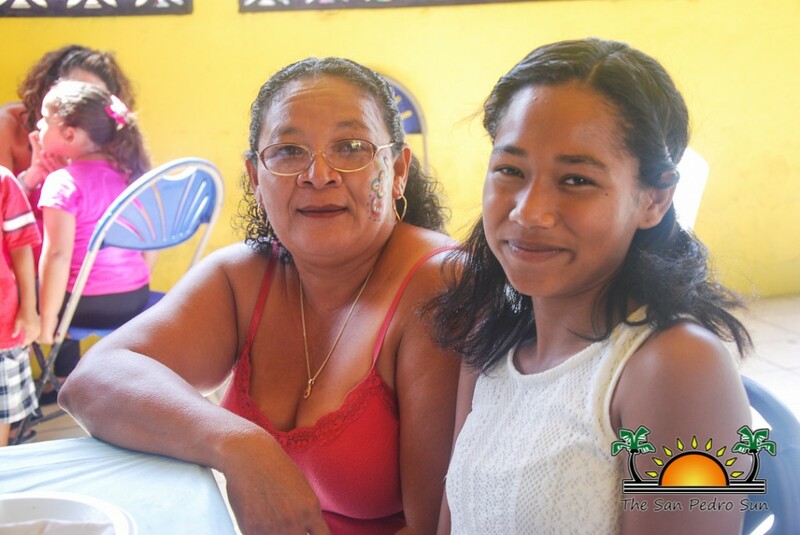 The Lions also thank those who generously donated raffle items: Caye Supplies, Save On, Love Belize and Nellie’s Baby Nest, and face painting volunteers, Sandie Betz-Eisenberg and Lara Goldman. 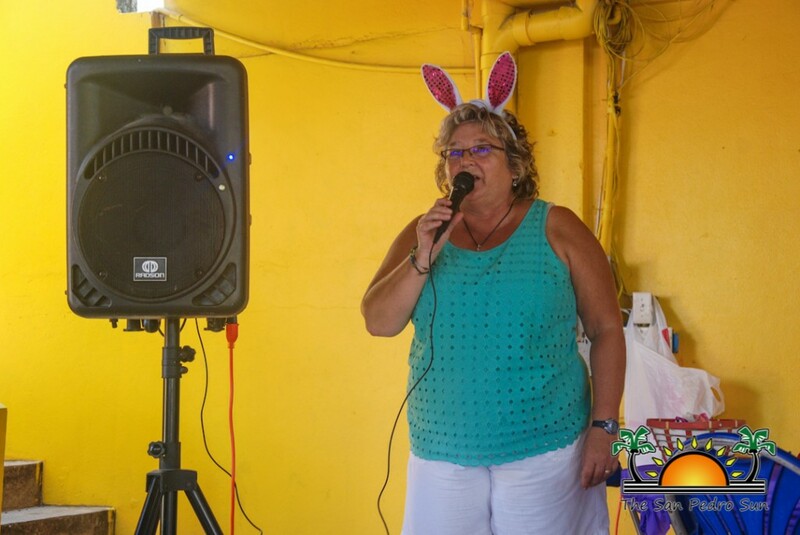 SP Lions Annual Pancake Bunny Brunch a success!